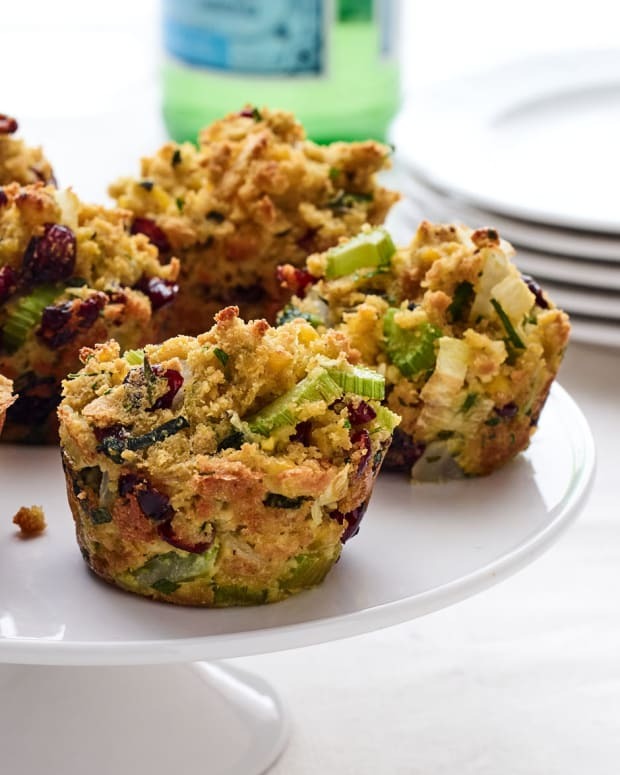 Sweet, tangy and savory all at the same time, this cranberry sage cornbread stuffing is the best part of any meal. 1. Cut corn bread into rough 1-inch cubes and place in a large mixing bowl. 2. Refresh dried cranberries using just enough boiled water to cover, approximately 20 minutes. 3. Sauté onions and celery in olive oil over medium heat until translucent but not brown. 4. Add sautéed onions and celery, refreshed dried cranberries, chopped sage to corn bread. Season with salt and pepper and mix the ingredients until just blended. 5. Add chicken broth and mix. The mixture should be quite moist but not soupy. Taste and correct the seasoning, if necessary. 6. Add beaten eggs and mix. 7. 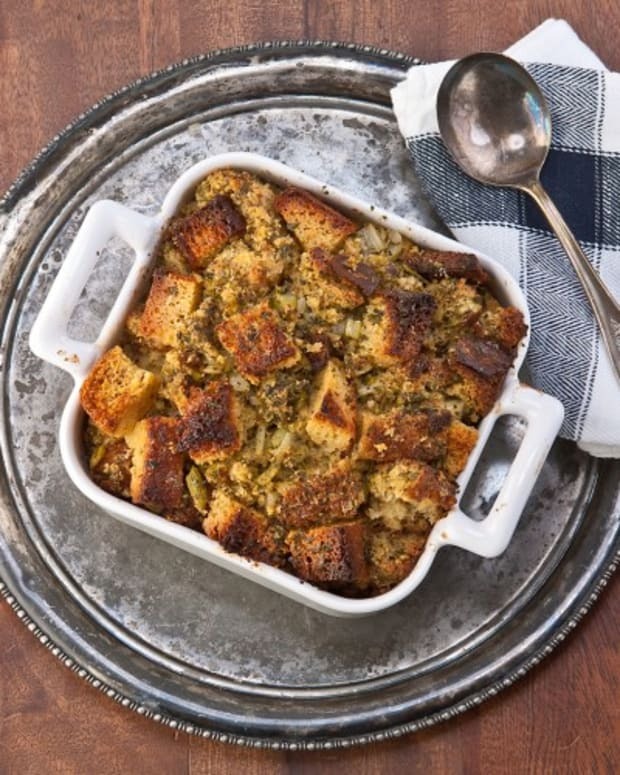 Bake in a 9x13-inch pan covered with foil at 350 degrees F about 45 minutes or stuff into the cavity of your turkey and cook to an internal temperature of 165 degrees F.
Use store-bought corn bread to save yourself time. For a vegetarian dressing use vegetable broth and bake in the oven covered with aluminum foil. If baking in the oven, do not let your dressing dry out; add broth if necessary. 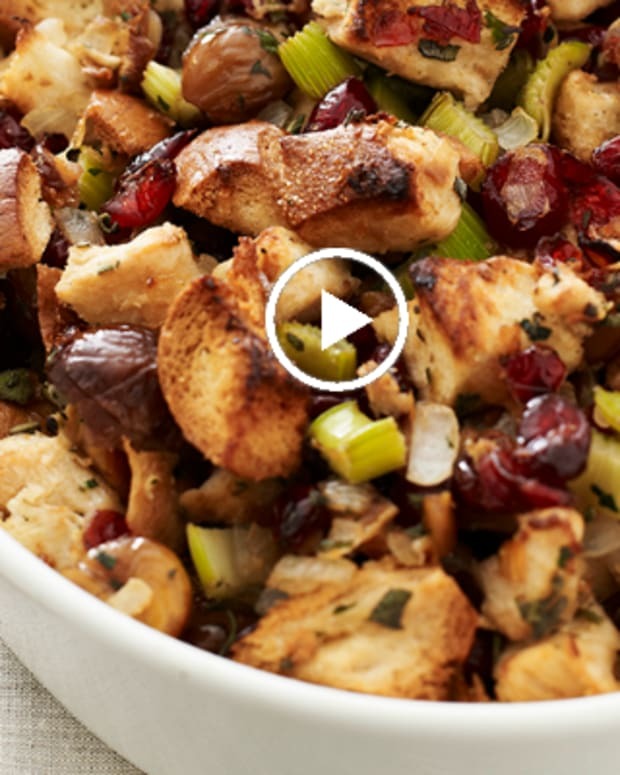 Make sure the stuffing is room temperature or colder before stuffing the cavity of your turkey. Stuff your bird immediately before cooking. Never stuff your turkey the night before. 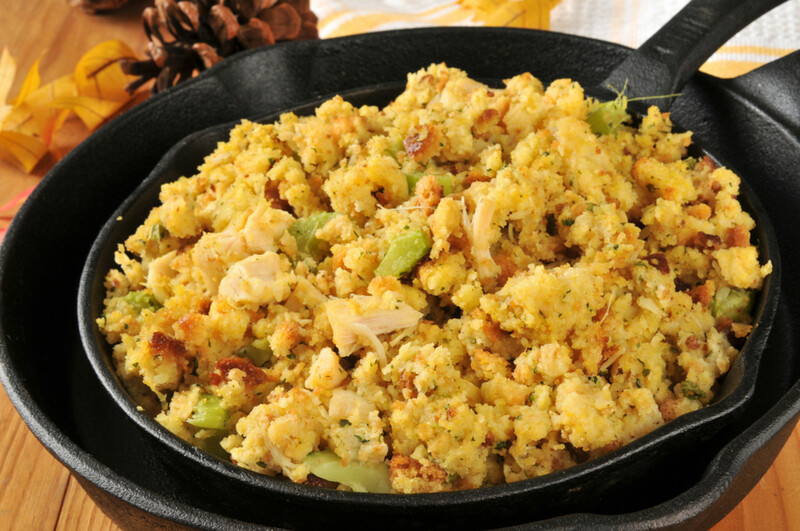 Bacteria from the meat might enter the stuffing and not be adequately eliminated during cooking. Never stuff a turkey for deep frying. 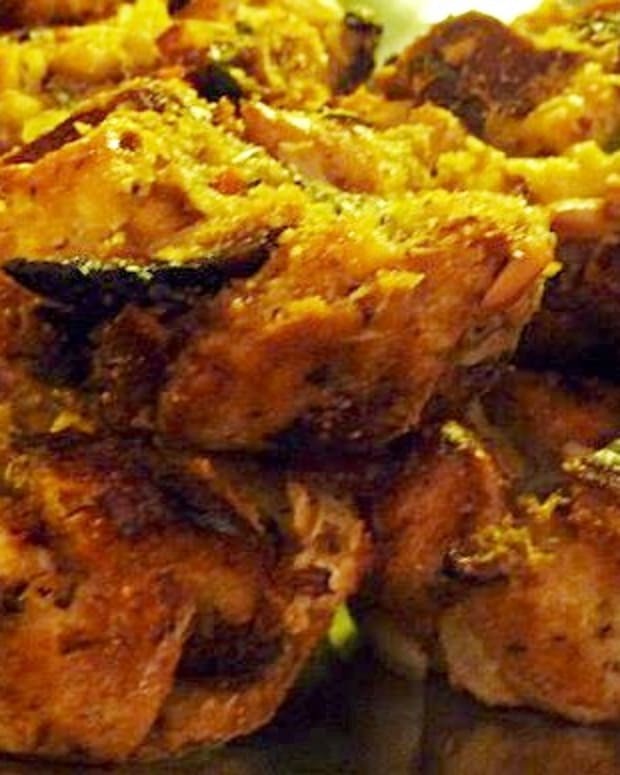 If you are deep frying your turkey, serve this recipe as a dressing baked in the oven. 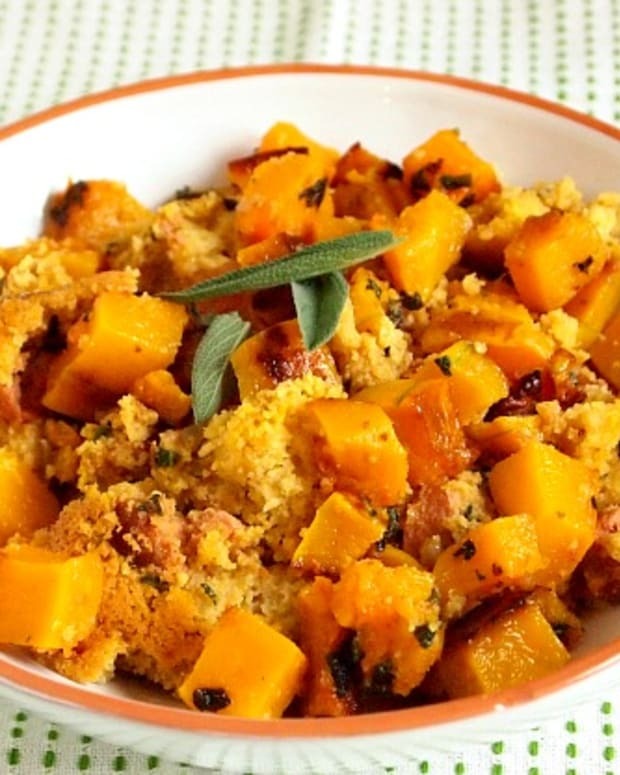 Corn bread stuffing is a southern classic. 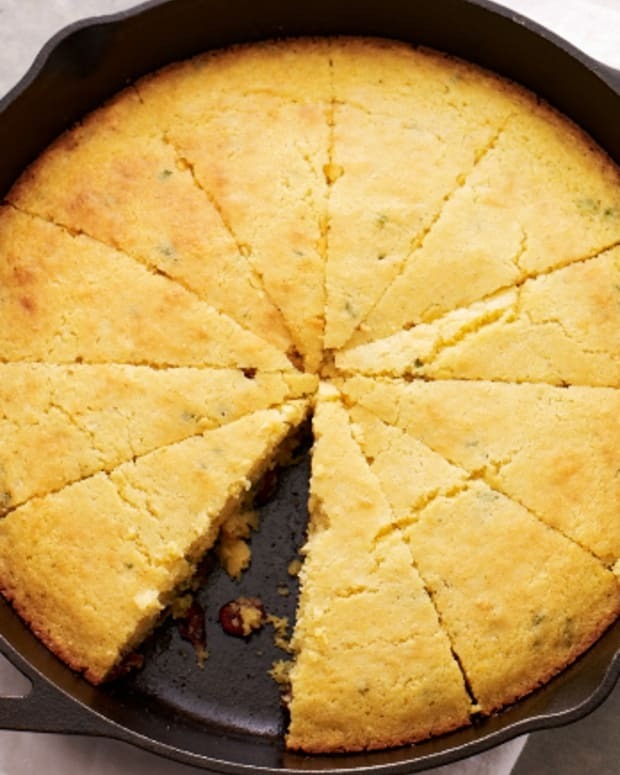 In this version, the lush texture and sweetness of the corn bread is complimented by aromatic sage. Dried cranberries peak out like little gemstones and add a tangy zing.